Since my turn on this blog comes around on the fourth Thursday of the month, every year I get to explore a new facet of gratitude on Thanksgiving. This year, I asked myself, what’s the most unusual thing I’m grateful for? How about thanking someone who didn’t like one of my books? As a member of Sisters in Crime, I’ve stayed in the Guppies subgroup, short for “great Unpublished,” long after moving out of unpublished territory. Like many authors, I find the group’s benefits too valuable to leave behind. One benefit is the opportunity to do a manuscript swap with another author and give each other feedback. In addition to getting input from my regular critique partners, I always seek out at least one new critique partner or beta reader per book, someone who is not familiar with my series. This time, I did a swap with an author who turned out not to like my work, and I didn’t like hers. It was great. Since neither of us was wrapped up in plot and character, we saw all the technical problems each other needed to address. She noticed some things the other six people who gave me feedback didn’t. They were following the story, turning the page, emotionally involved, and wondering what would happen next; she was disengaged. Though I continually get better at weeding out my crutch words and my over-used habitual phrases, certain ones are so natural to me they become invisible. But they were visible to her, and likewise her habits were visible to me. She also noticed where I needed clearer time transitions at the beginnings of chapters, where the background was unclear, and where a long chapter should break in two. I thank her for not enjoying my book. She helped make it better. This was the second time in writing my six-book series that I’ve had this experience. Years ago, I swapped an early draft of a book that later evolved into The Calling with a woman who didn’t even finish it. Her assessment was harsh, not as tactful as the Guppy guidelines suggest we should be. My prior swap partner on that manuscript liked my characters so much, the plot and pacing weaknesses didn’t register with her. This ruthless second critique motivated me to study plot and structure and then revise from the ground up. After that, I reworked the book chapter by chapter with a critique group. The final product has been well-reviewed, and bears little resemblance to the version that my swap partner so disliked. I am grateful to her for tearing it apart. Of course, I’m equally grateful to critique partners who did like my books. It’s useful to get insights and suggestions from someone who enjoys the work in progress, noticing where it could improve but also telling me what they find effective. When my critique partner who didn’t like the book still said that the end of Death Omen made her cry, I was sure I’d done something right. Book one in the Mae Martin Series, The Calling, is currently free on all major e-book retail sites. 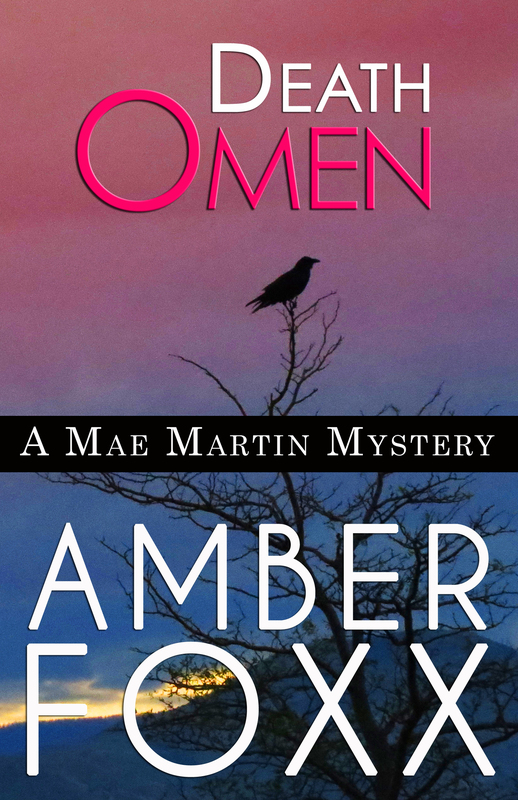 This entry was posted in Amber Foxx and tagged creative process, critiquing, Death Omen, gratitude, Mae Martin Mysteries, revision, series, writing a mystery series. Bookmark the permalink. This is wonderful Amber, thanks for sharing your experiences! It’s always hard for me when a beta reader doesn’t like my book, so I Love your attitude!